Twice the dice – twice as nice! Children will be fascinated by these dice-within-dice. 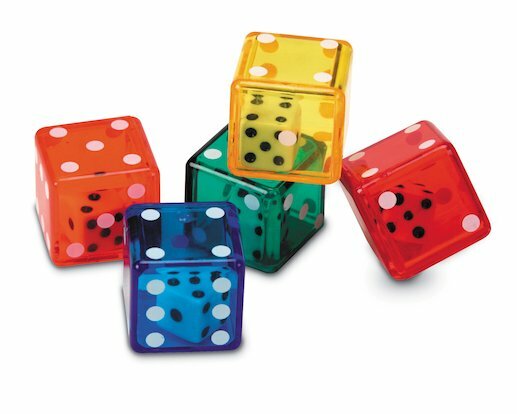 Use them to teach probability, predict numerical outcomes and track the statistical results of repeated rolls. Each brightly coloured, translucent outer die holds a single, smaller white die inside it. Contents: storage jar with 72 dice-in-dice.